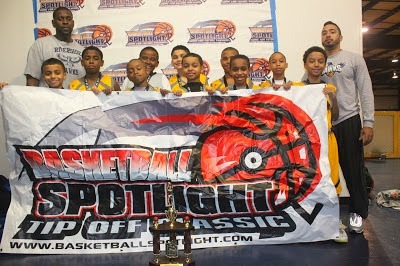 BASKETBALL SPOTLIGHT NEWS: Inside The Tip Off Classic 4th Grade: Riverside Hawks Time! Inside The Tip Off Classic 4th Grade: Riverside Hawks Time! The 4th Grade Division of the Basketball Spotlight Tip Off Classic gave a look into the future. These baby ballers really brought their game that weekend. Here’s a look inside this grade level. A few years ago a Riverside Hawk team finished 4th in the country and then the program went quiet again. Now this 4th Grade group made a tremendous run at the Tip Off Classic and seem to be bringing the Hawks back. It’s still early but this team knows how to take care of business. It would be good for the Metropolitan Region for the Hawks to return to Glory.